President-elect Barack Obama's spokeswoman syas he apologized to Nancy Reagan for an offhanded remark. CHICAGO, Illinois (CNN) - President-elect Barack Obama called Nancy Reagan on Friday to apologize for a remark about seances he made during his first news conference earlier in the day. When a reporter asked Obama if he had spoken with any ex-presidents since his election on Tuesday, he responded that he had spoken to all former presidents "that are living." "I didn't want to get into a Nancy Reagan thing about, you know, doing any seances," he said. Nancy Reagan, wife of 40th President Ronald Reagan, was derided in 1988 when his former chief of staff Donald Regan revealed in a book that the first lady had consulted an astrologer to determine the president's schedule. Obama apologized to Reagan "for the careless and offhanded remark," Obama transition team spokeswoman Stephanie Cutter said. "The president-elect expressed his admiration and affection for Mrs. Reagan that so many Americans share and they had a warm conversation," Cutter said. 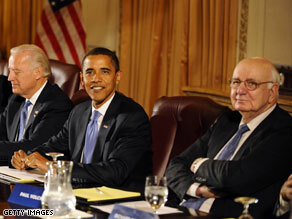 Washington insiders wonder whether Defense Secretary Robert Gates will stay in the post past January. 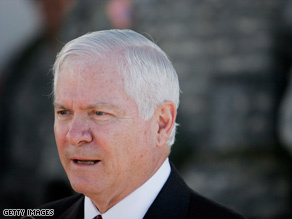 (CNN) - As each day passes, the buzz is building that Robert Gates might be asked - and agree - to stay on as defense secretary, at least for a while. Gates himself left the door open this year, when I first asked him whether would consider serving in the next administration. "The circumstances under which I would do that are inconceivable to me," Gates craftily replied in an April Pentagon news briefing. When I asked him again later in the summer while touring Peterson Air Force Base in Colorado, he gave the same answer but added an all-important qualifier: "I've learned never to say never." Well, those circumstances that seemed "inconceivable" back then appear all too conceivable now. In fact, it's the talk of the Pentagon. What we know from some of the few people who have actually discussed this with Gates is that he IS willing to stay, although not too long. But the former spymaster is playing his cards very close to the vest. Almost no one at the Pentagon knows what's really going on over the back channels. Reid is torn over Lieberman. (CNN) - Senate Majority Leader Harry Reid made clear Friday he's not happy with Joe Lieberman over the onetime Democrat's avid support of John McCain's White House bid, but told CNN the Connecticut independent has a strong record of voting with the Democrats. "Joe Lieberman has done something that I think was improper, wrong, and I'd like if we weren't on television, I'd use a stronger word of describing what he did," Reid told CNN's John King. "But Joe Lieberman votes with me a lot more than a lot of my senators. He didn't support us on military stuff and he didn't support us on Iraq stuff. You look at his record, it's pretty good." Sources tell CNN Reid wants to strip Lieberman of his Homeland Security Committee chairmanship and offer him the chairmanship of a less high-profile committee. Lieberman reportedly called the proposal "not acceptable." 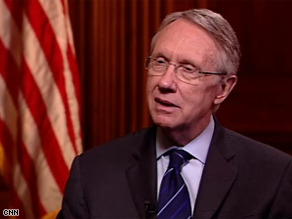 The full interview with Reid airs on CNN's Late Edition, Sunday at 11 a.m. ET. 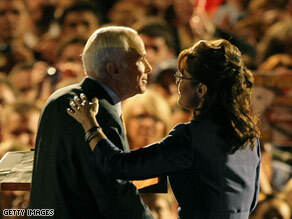 Sources close to John McCain say Sarah Palin was denied a chance to speak at McCain's concession address. (CNN) - Alaska Gov. Sarah Palin called former aides of Sen. John McCain "jerks" for circulating unflattering stories about her since the Republican ticket lost its bid for the White House Tuesday. Speaking with CNN's Gary Tuchman after returning to Alaska, Palin speculated those stories may have originated with campaign staffers who helped her prepare for her debate with Democratic Vice President-elect Joe Biden. (CNN) - Watch the final installment of Jennifer Mikell's Trail Mix - a look at the historic week that was as the 2008 presidential race came to an end. Turnout was nearly the same as in 2004. (CNN) - Was there a record turnout in the election? Of Democrats, yes. Of all voters, not so much. 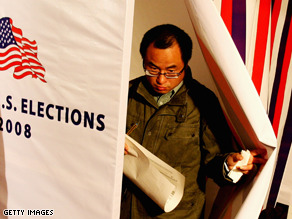 We expected to see amazingly high voter turnout in this election. Just over 208 million voting-age American citizens were eligible to vote this year. Just over 187 million were registered to vote. Edison Media Research estimates that a total of just over 130 million actually voted for President, either in person or by mail. That's over 62 percent of all Americans eligible to vote. That's two points higher than four years ago. 2008 continues a steady trend of higher voter turnout since 1996. But it's not exactly a quantum leap. The Center for the Study of the American Elecotrate Explains it this way. "A downturn in the number and percentage of Republican voters going to the polls seemed to be the primary explanation for the lower-than-predicted turnout. . . . The long lines at the polls were mostly populated by Democrats." President-elect Obama told reporters Friday that his eldest daughter, Malia, has allergies which might preclude the family from adopting a shelter dog which would likely be a 'mutt' like Obama. (CNN) – In his first press conference since winning the race to the White House, President-elect Barack Obama addressed a pressing question: who is going to be the first dog? Obama told a group of reporters in Chicago on Friday that since his 10-year-old daughter, Malia, is allergic, the Obama family is looking for a hypoallergenic breed. But Obama also said the family wants to adopt one from a shelter. Obama is of mixed racial heritage: His mother was Caucasian and his father was African. 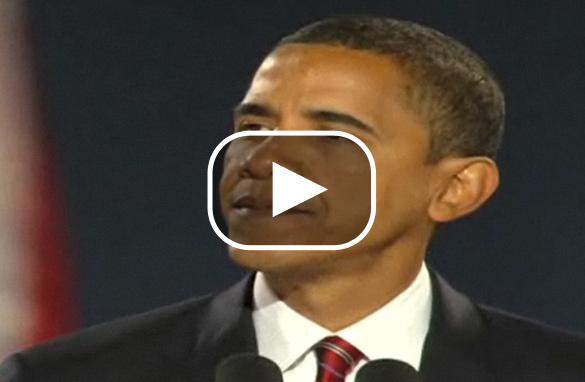 Obama announced in his victory speech on Election Day that his daughters had “earned” a puppy. Obama joked that this is a “major issue” and said that since Election Day, the family’s dog choice has created more interest than any other topic. Vice President-elect Biden looks on as the nation's next president gives his first press conference since winning the White House. (CNN) - Barack Obama would not give a timetable for when he plans to announce his cabinet appointments, but said he would make decisions with "deliberate haste." "There is no doubt that people want to know who is going to make up our team," he said "I want to move with all deliberate haste, but I want to emphasize deliberate as well as haste." "It's important to get it right and not be so rushed that you make it rushed," he also said. John McCain is set to return to the Senate next week. (CNN) - Former GOP presidential candidate John McCain will return to the Senate next week to participate in the lame duck session, his chief of staff Mark Buse tells CNN. Buse calls McCain “eager” to get back to work in the Senate, saying they talked about focusing specifically on Iraq, Afghanistan and the struggling economy. McCain is now at his home near Sedona, Arizona, where he went the morning after the election. Senator Lindsey Graham, R-South Carolina, among McCain’s close friends who were with him at his creek-side cabin this week, tells CNN that McCain is of course disappointed with the election’s outcome. “He put his heart in it. It didn’t turn out the way he liked,” Graham said. However, Graham also says McCain is a “duty bound guy who won’t go A.W.O.L. from his duties in the Senate.” Graham insists McCain is determined to fight President-elect Barack Obama on his tax plan, but is also eager to “find common ground” on other big issues. Graham reiterated what he told CNN election night, that he hopes McCain will become the next “lion” of the Senate who works across the aisle to find compromise on key legislation. President-elect Obama met with his economic advisors Friday before holding his first press conference since the general election. 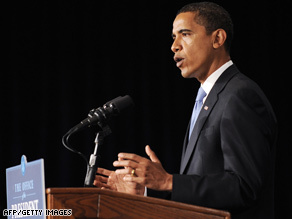 CHICAGO, Illinois (CNN) - In his first public remarks since he delivered his victory speech Tuesday night, President-elect Barack Obama vowed Friday that restoring the nation's economic equilibrium will be a major priority of his administration. 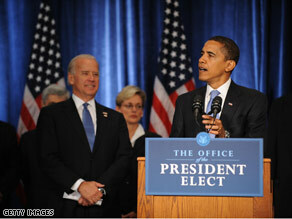 "I do not underestimate the enormity of the task that lies ahead," he told reporters at the Hilton Hotel. "We have taken some major action to date and we will take further action." Obama said that, if the lame-duck Congress fails to reach an agreement on a stimulus package before he takes office January 20, passing such a package will be his first move.